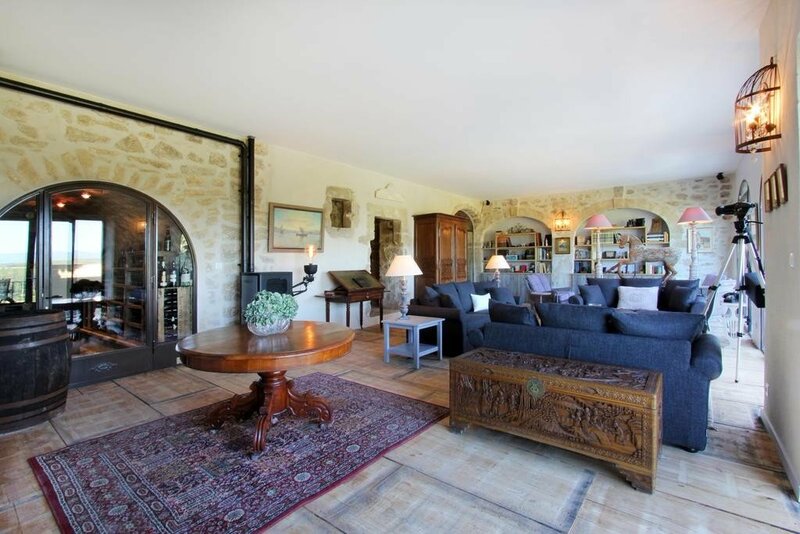 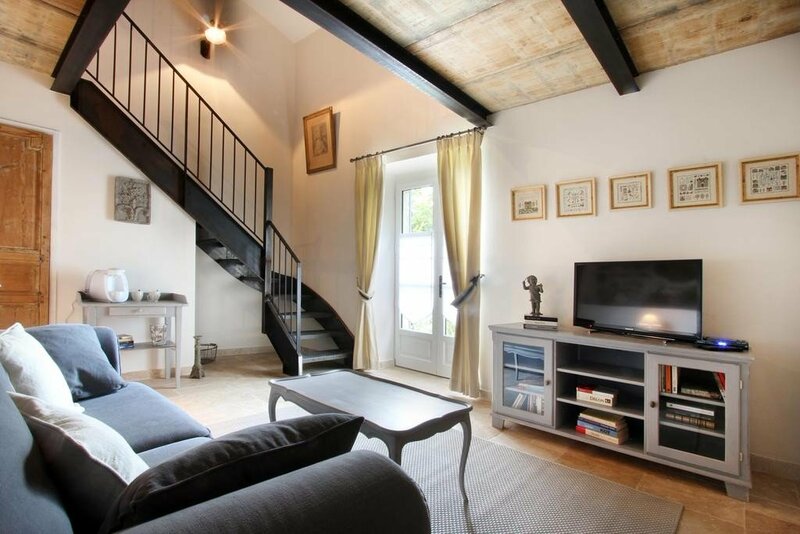 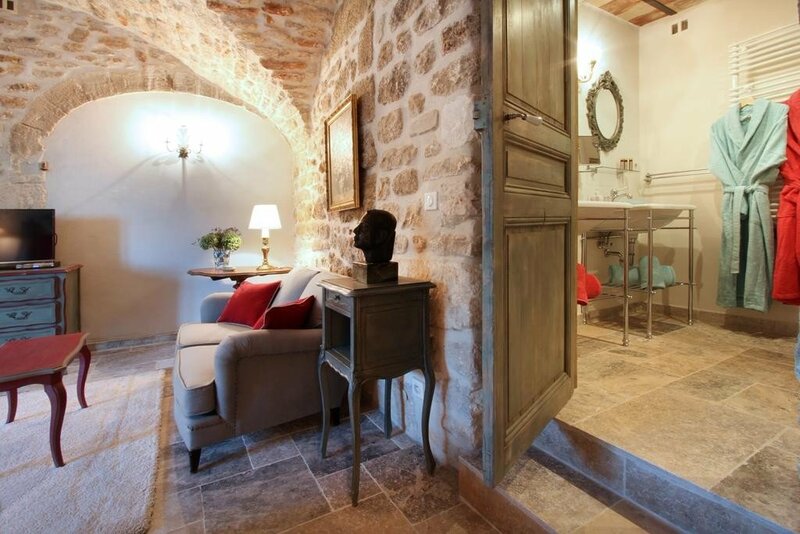 La Bastide du Tinal is a beautiful property; a classic Provençal farmhouse updated with modern comforts and luxuries, but retaining an authentic, rustic charm. 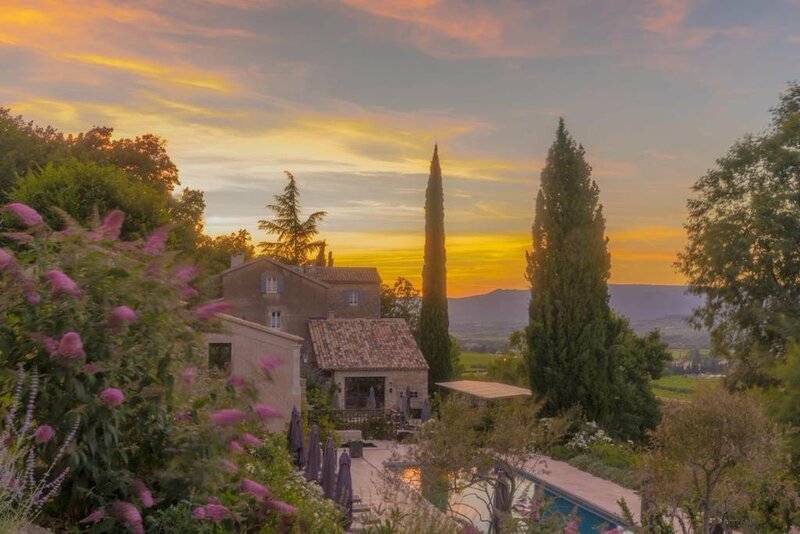 The setting is postcard perfect too; on a hillside surrounded by lavender and olive groves, the views from the gardens and the outdoor swimming pool are blissful. 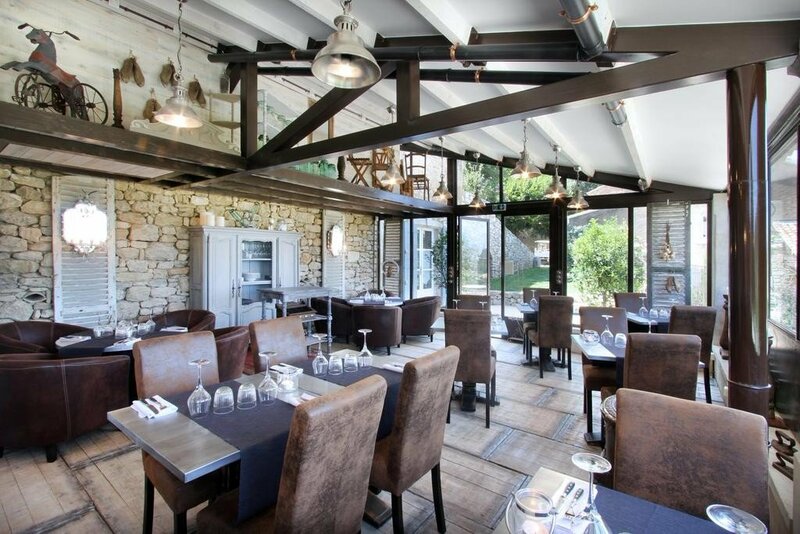 The food is another major draw at La Bastide, having a range classic dishes from the South of France with much of the ingredients picked fresh from the gardens outside. 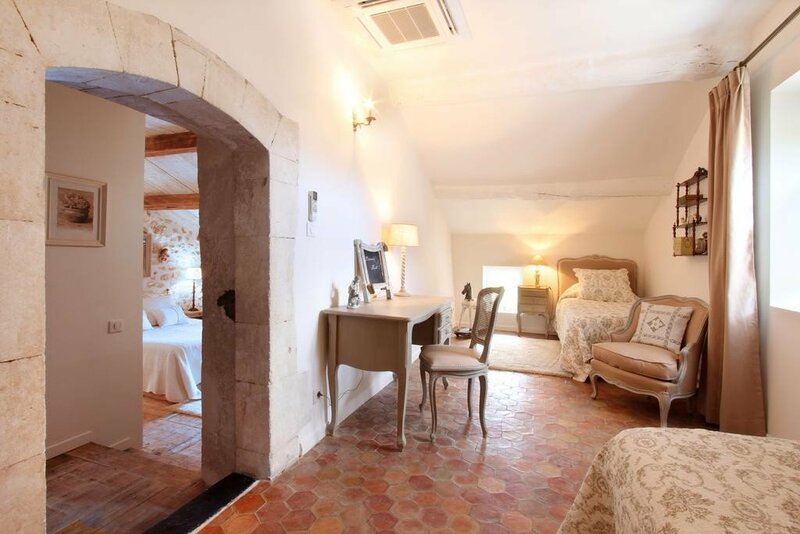 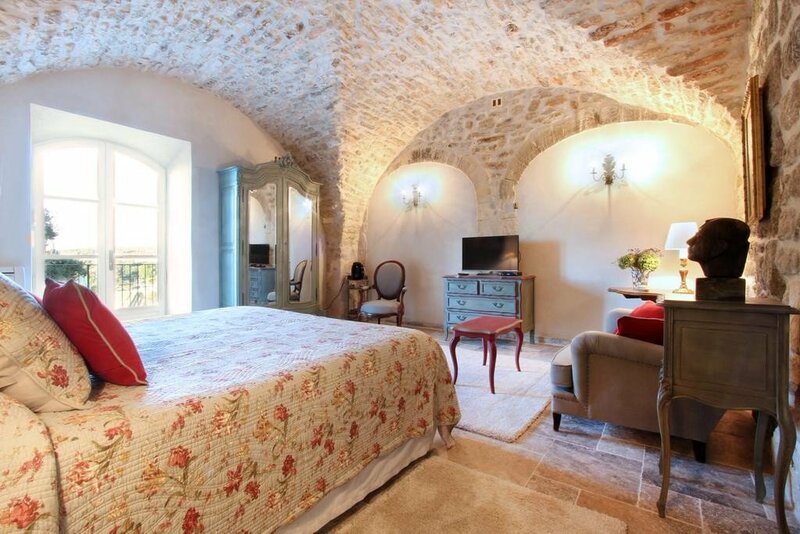 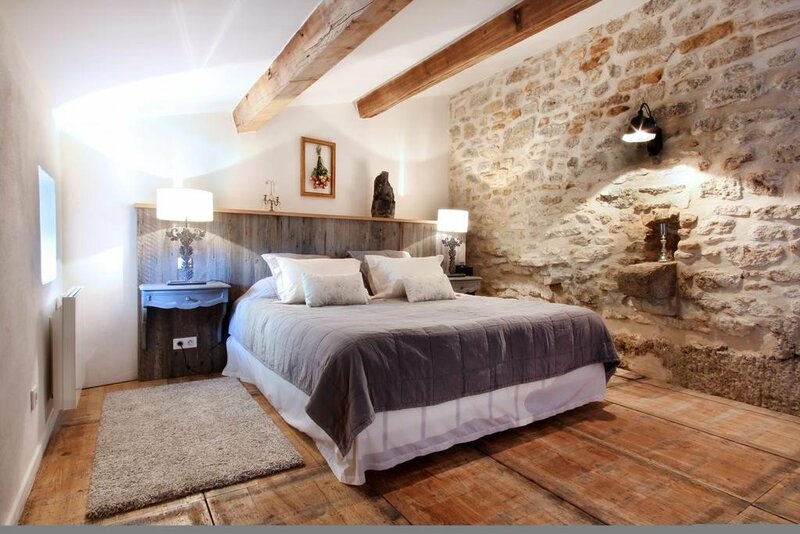 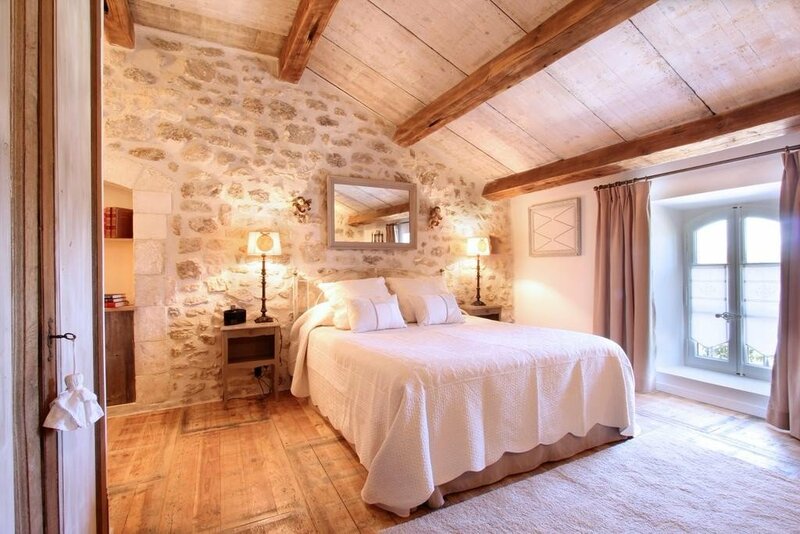 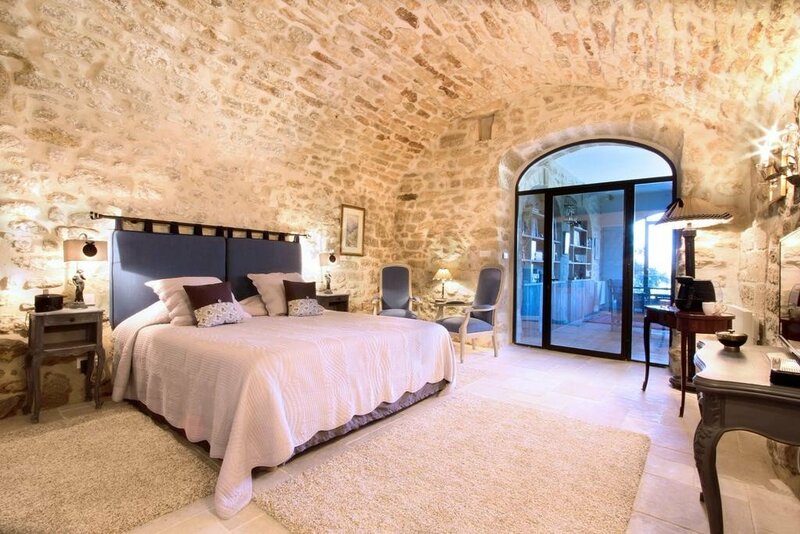 The property is an 18th century former magnanery (silk farm) and has a a choice of luxury rooms with traditional exposed stone walls. 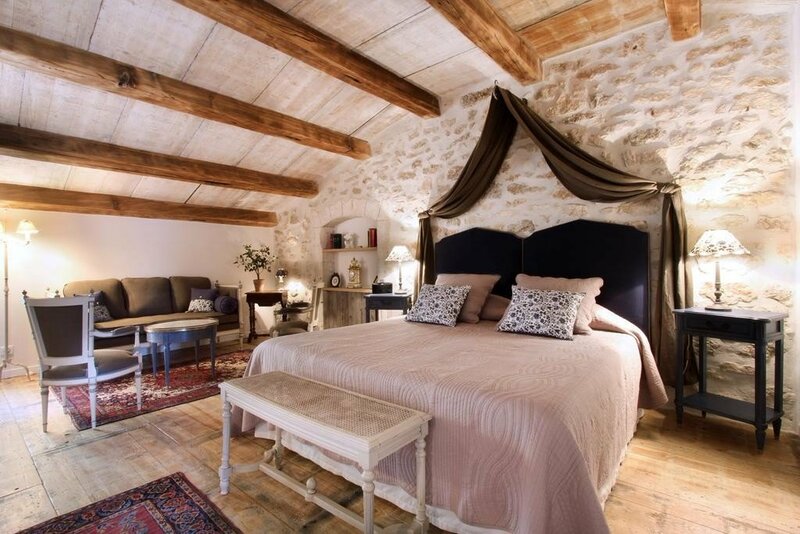 Four of them are doubles and one can sleep up to four, with one double bed and two singles in adjoining spaces. 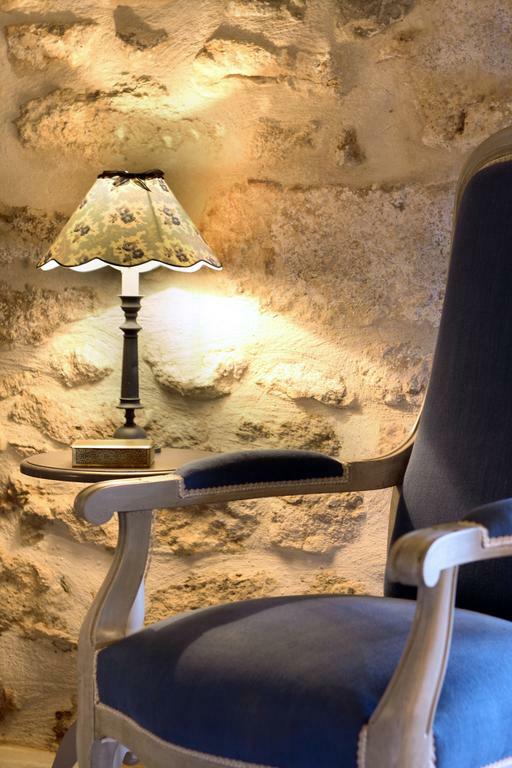 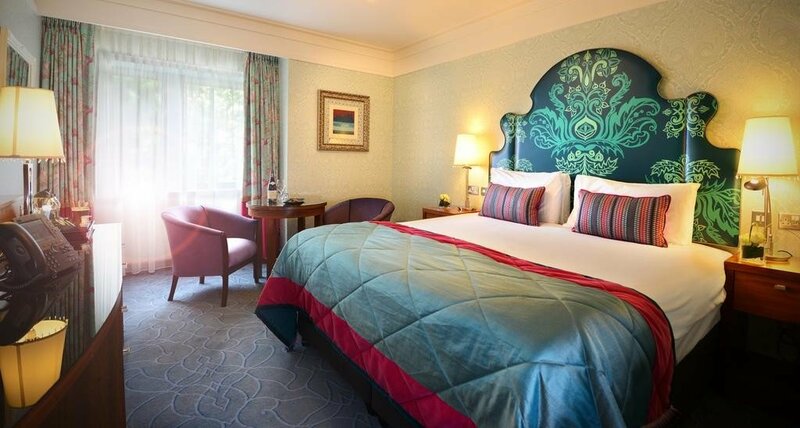 All of rooms are spacious, beautifully appointed and worthy of any top hotel in Provence or indeed anywhere else in France. 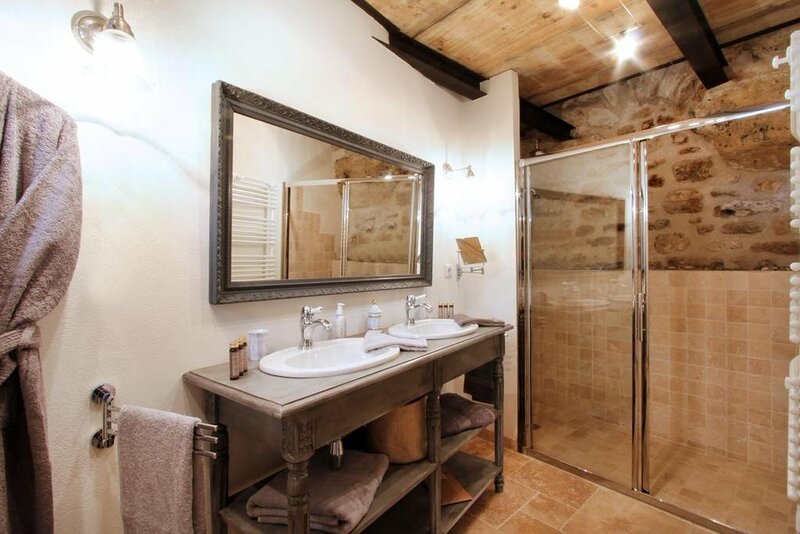 They all come with a seating area, satellite TV, WiFi and iPod dock, and the very plush bathrooms are a particular highlight. 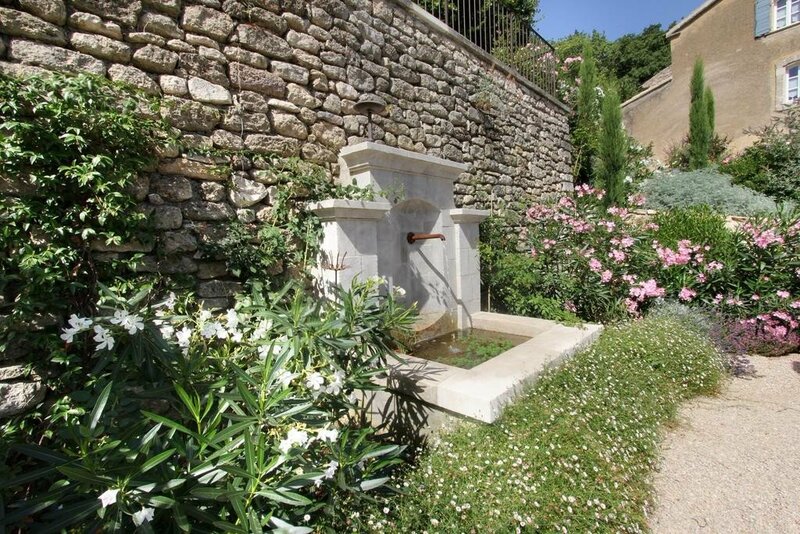 Outside there is one acre of grounds to be explored which have lavender plants, olive and almond trees, and various vegetables, fruits and herbs. 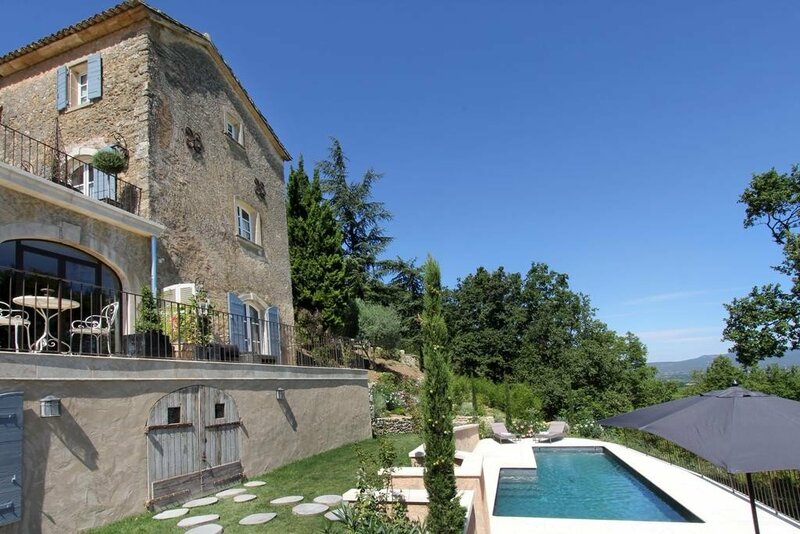 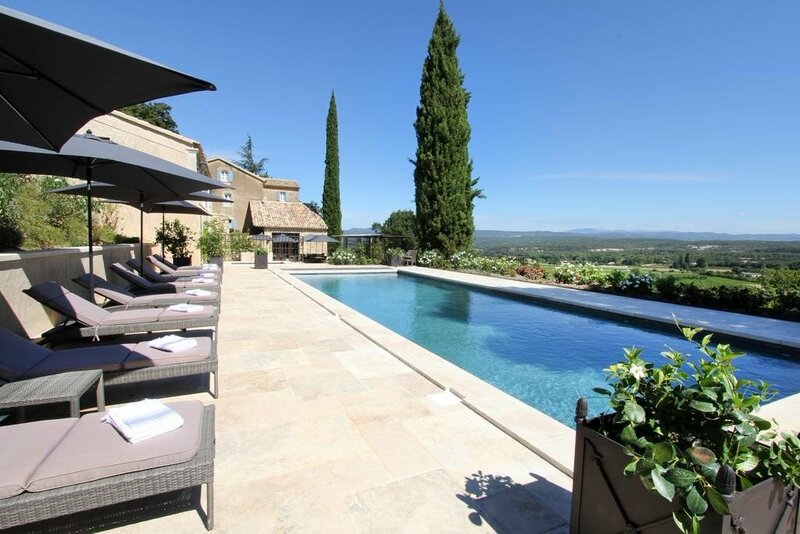 There are two swimming pools and a jacuzzi/hot tub too, and, as mentioned above, the views over the surrounding fields and vineyards towards Mont Ventoux and Gordes are simply wonderful. 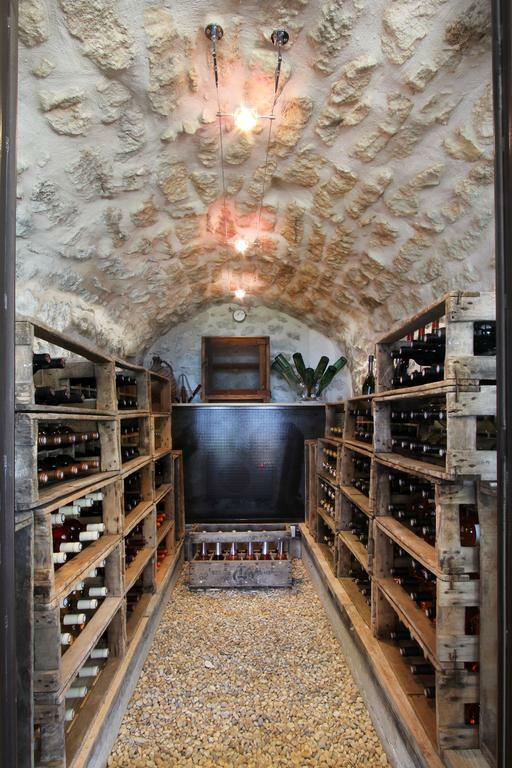 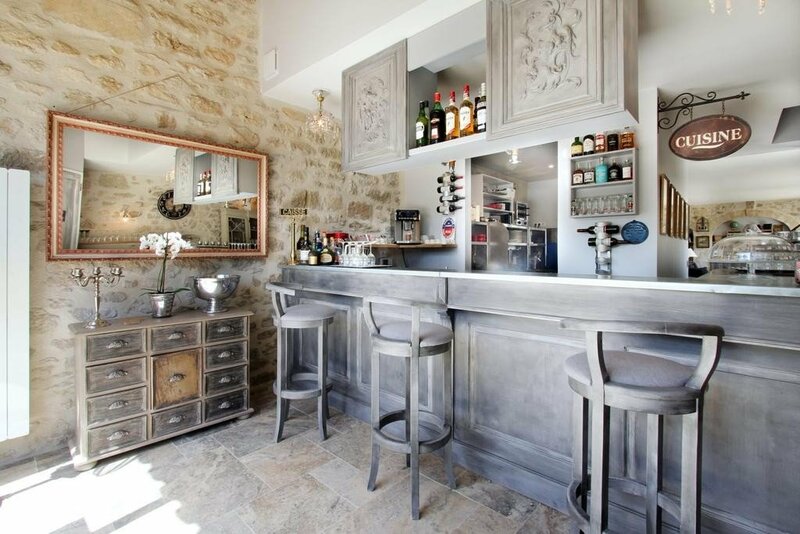 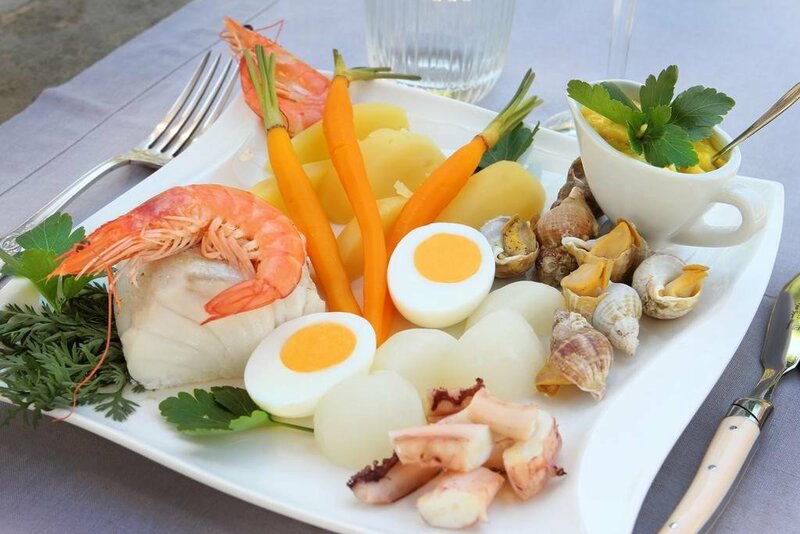 The on site restaurant, Le Petit Lucullus, is very well respected in Provence, and apart from the generous breakfast which is included in the room rate you can treat yourself to some fabulous meals throughout the day, paired with some equally great wines. 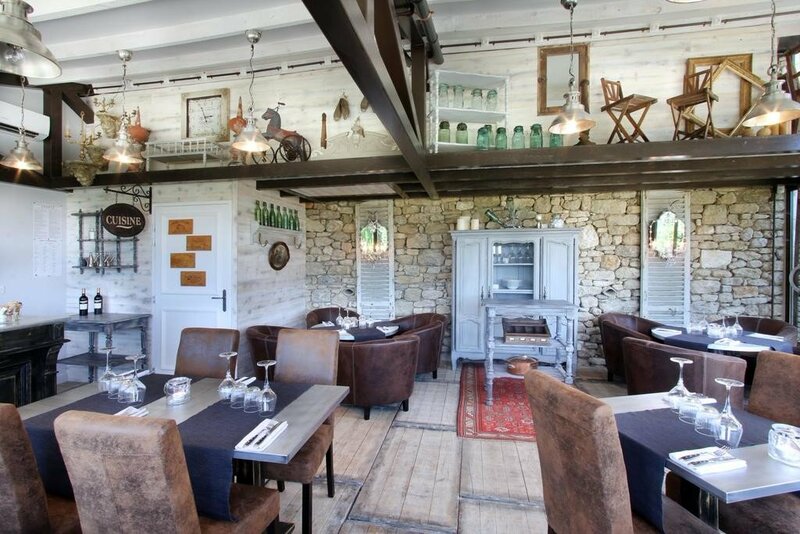 There is a nice dining room inside or if you wish you can dine on the terrace outside. 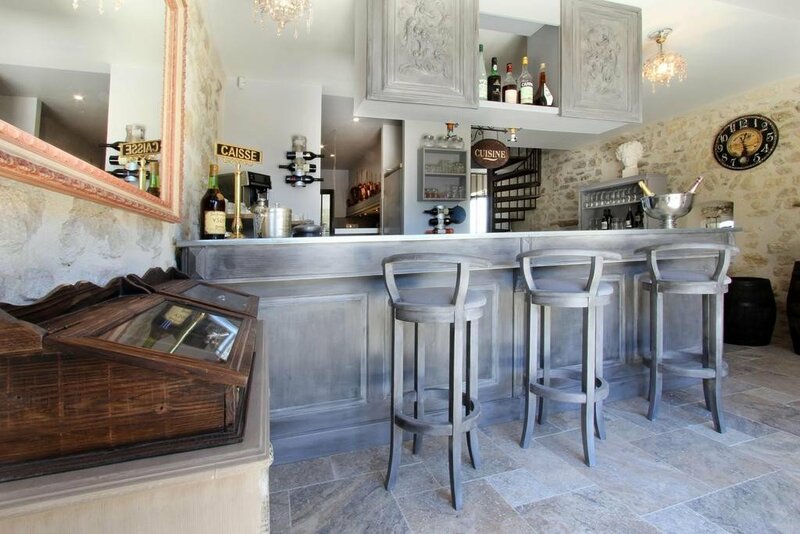 There is a library at the property too and also a bar and lounge. 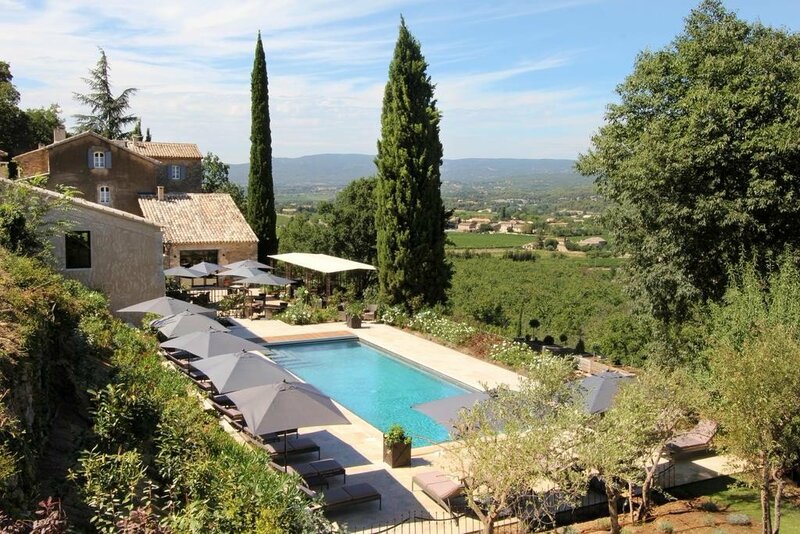 La Bastide is in the heart of the famous lavender fields region of Provence, the Luberon National Park to be exact. 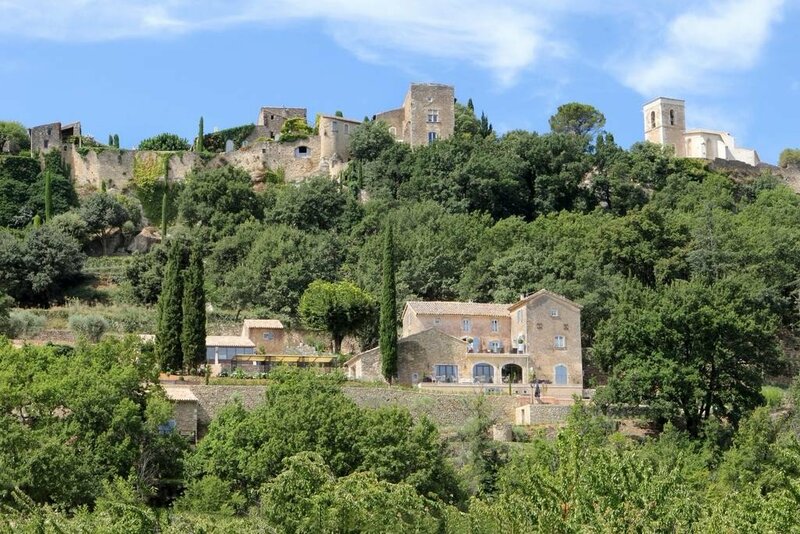 The Luberon is not only famous its lavender and picture perfect rural landscapes, it is also known for having some of the most beautiful villages in France; Ansouis, Gordes, Menerbes, Roussillon and Lourmarin being the best examples, all of of which can be reached within a half an hour by car, with Menerbes being actually within walking distance. 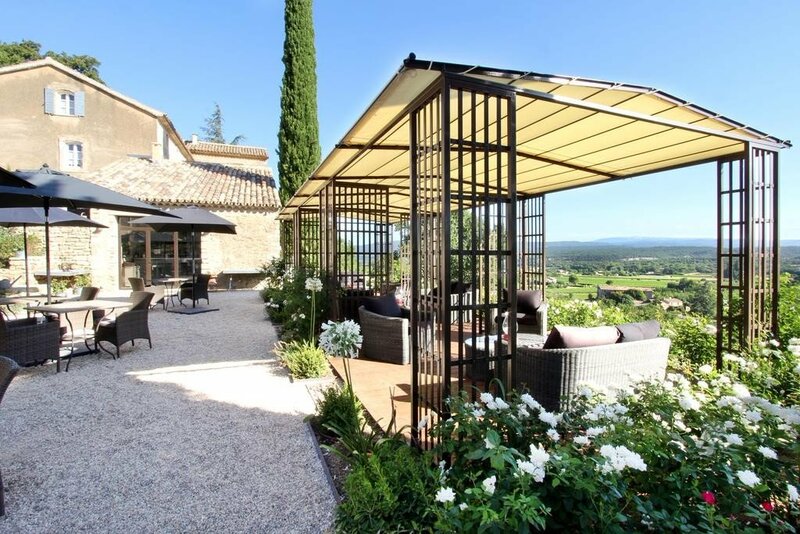 The staff will have plenty of good advice to give and with Provence being a popular place for cycling you can hire bikes from the hotel. 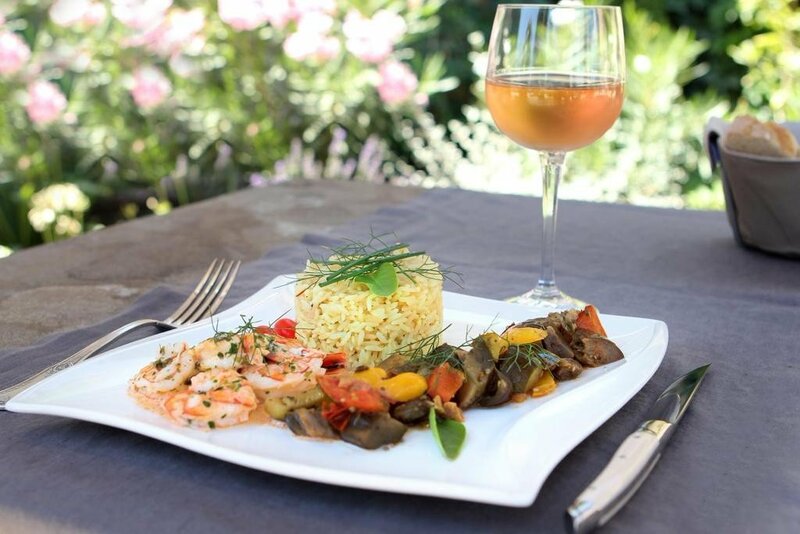 If you’re planning on heading off the beaten path for the day you can also request picnic hampers be prepared by the chef. 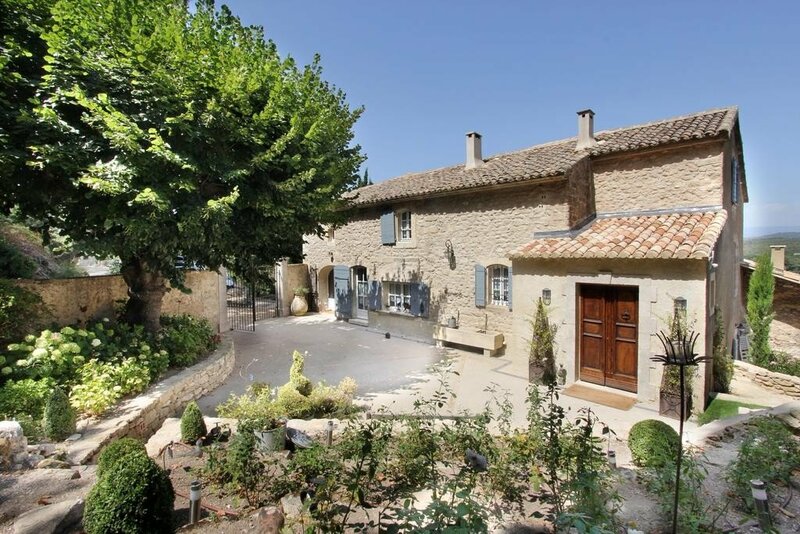 The larger university city of Aix-en Provence, the main tourist base of the Provence region, can be reached in less than an hour by car while the nearest major airport is Marseille Provence around the same distance away. 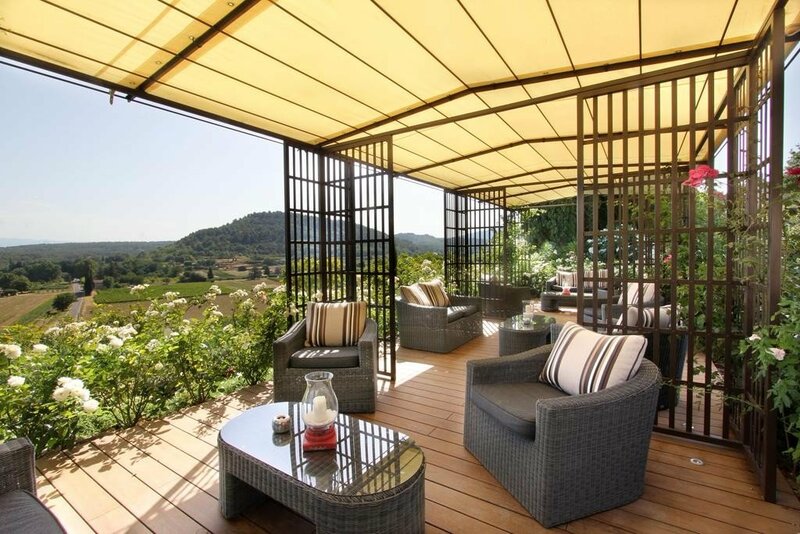 Nice Côte d’Azur and Toulon-Hyères Airports are also within reach; less than two hours away to the east. 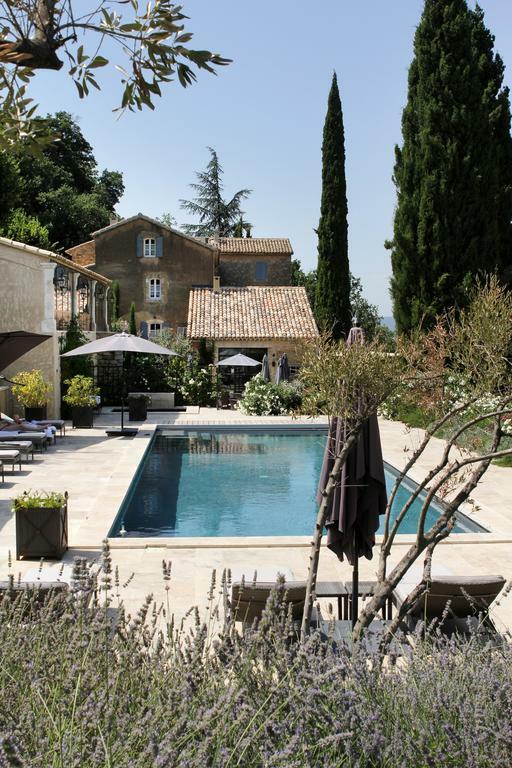 Note: To ensure a peaceful stay for visitors no children and no pets are allowed at La Bastide!